AKIPRESS.COM - Regional leaders launched construction work on the Afghan section of an $8 billion natural gas pipeline that will link the energy-rich Central Asian nation of Turkmenistan through Afghanistan to Pakistan and India, Reuters said. Turkmenistan holds the world’s fourth-largest natural gas reserves but has been heavily dependent on gas exports to China after Russia cut back gas imports in the past few years. The project is expected to transport 33 billion cubic meters (bcm) of natural gas a year along an 1,800 kilometer (1,125 miles) route from Galkynysh, the world’s second-biggest gas field, to Fazilka near the border with Pakistan in northern India. “South Asia is being connected with Central Asia through Afghanistan after more than a century of division,” Afghan President Ashraf Ghani said. He was speaking at a ceremony attended by Turkmen President Kurbanguly Berdymukhamedov, Pakistani Prime Minister Shahid Khaqan Abbasi and India’s Minister of State for External Affairs M.J. Akbar. 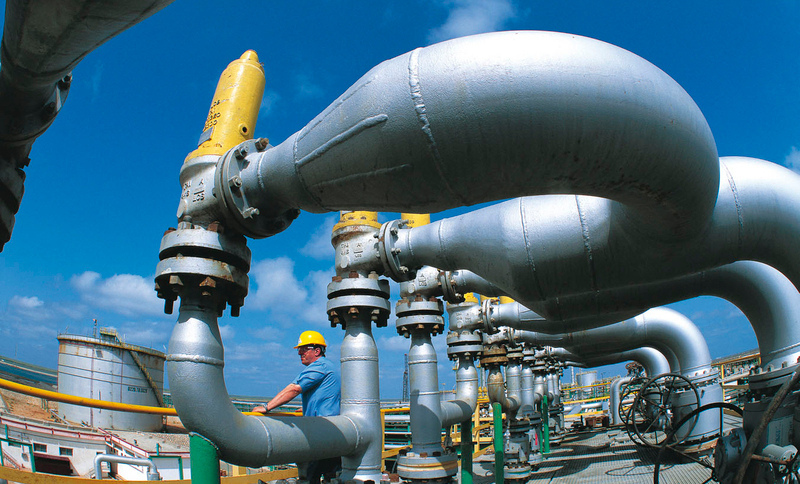 While the pipeline will allow Turkmenistan to find new consumers in Asia and cut its dependence on Beijing, which buys about 35 billion cubic meters of gas annually. It is also being seen as a central plank in ambitious regional development goals. “TAPI will lead from a gas pipeline into an energy and communication corridor,” Abbasi said, adding that as well as providing energy, the pipeline would underpin development of road, rail and communications networks. The TAPI project, supported by the United States and the Asian Development Bank, has been touted by Turkmenistan since the 1990s. But the start of work was delayed because of the problem of crossing Afghanistan. The pipeline will run for hundreds of kilometers (miles) through areas of southern Afghanistan largely controlled by Taliban insurgents fighting the Western-backed government in Kabul but the movement has signaled that it will not hinder the project. The Taliban issued a statement on Friday, pledging its cooperation with TAPI, which it said would be an important element in building up Afghanistan’s economic infrastructure. “There will be no delay in this important national project,” it said in a statement, which blamed the government in Kabul for delays in starting construction. Ghani, striving to build up Afghanistan’s war-shattered economy, has pushed the development of regional transport and energy networks to underpin long-term development and turn Afghanistan into a regional hub instead of a source of instability. Afghanistan, which suffers from chronic energy shortages, is expected to take 5 billion cubic meters of gas itself, with the rest divided equally between Pakistan and India. In addition, Kabul will earn hundreds of millions of dollars in transit fees.